How Much Does Junk & Trash Removal Service Cost? We all accumulate junk, trash and waste — whether it’s from parties, businesses, remodeling projects or the activities of our day-to-day lives. And, unless we want to be the eyesore neighbor with a smelly house, we’ve all got to purge the stuff once in awhile too. 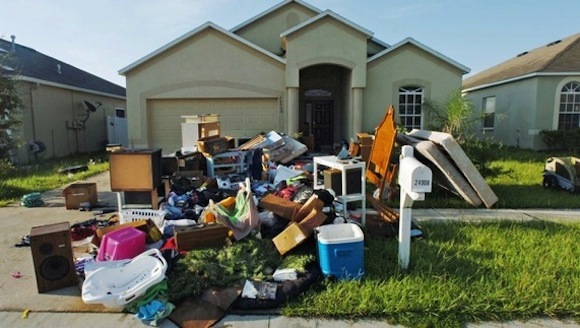 Fortunately, we have the option of hiring junk removal to do the dirty work. Here are a few things that factor into the cost of waste and junk removal. Construction Debris: If you recently remodeled or added onto your home, it’s likely that you have leftover materials — most of which will need to be removed. The cost for construction debris removal averages around $200, depending on the quantity involved. EasyGo PRO is the creator of a professionals platform in the objective to connect potential clients, with qualified professionals independent services in your area, well equipped, providing top quality household and moving services general handyman, moving labor services, moving , cleaning, pressure washer, carpet cleaning, furniture assembly, tv mounting & installation, interior painting, hanging pictures and shelves, light fixtures, outlet, plumbing, knobs and locks, yard work . from major cleaning to minor repairs we make home work. Our platform is free to use for all of our customers! Usually, back and forth to the dump to get rid of yard waste, appliances and smaller garbage loads is no big deal. But sometimes you need help with the bigger loads. On average a homeowner pay around $135 and $357 for junk removal, though costs depend largely on contents, volume and service policies. A Junk removal services will remove junk from your home or your businesses — charging around $200 for removal from a single family home and around $250 for removal from an apartment. Waste removal from a business will cost about $400. More information on junk waste removal costs is included below. These costs do not include a one-time setup fee, which may fall anywhere between $30 and $50. (Note: This cost guide and its chart DO NOT include the costs for trash removal. Please contact your local city provider or private companies for true fee schedules. Find skilled pros for home services, help moving, handyman services and more, Compare professionals. Get estimates. Read trusted reviews. Hire with confidence.